Every Level product is a carefully curated combination of a design with a printable material, layers of ink, and often a protective coating. Since each of these components plays an integral role in defining the product, we consider this entire combination (and not simply the base material) as the definition of our Product Type. Stipple Vinyl + WallMax® | Type II, 20 oz. Textured White Vinyl | Osnaburg Backing | Our most popular product, this features rich color on a slightly textured bright white surface, coated with our WallMax® protective liquid laminate. Ideal for all commercial spaces including high-traffic areas. Smooth Vinyl + WallMax® | Type II, 20 oz. Smooth White Vinyl | Non-Woven Backing | A smooth white surface coated with our WallMax® protective liquid laminate. Ideal for all commercial spaces, though not as good as Stipple Vinyl at hiding imperfections in the wall surface. 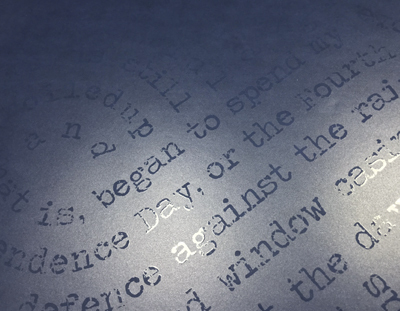 Canvas Embossed Vinyl + WallMax® | Type II, 20 oz. Textured White Vinyl | Osnaburg Backing | This canvas-embossed, bright white vinyl adds a tactile, hand-made feel to your mural. Coated with our WallMax® protective liquid laminate, it’s perfect for any commercial space including high-traffic areas. IMO Vinyl + WallMax® | Type II, 20 oz. Textured White Vinyl | Osnaburg Backing | The bright white surface of this vinyl features our most subtle texture (similar to our Stipple Vinyl). Coated with our WallMax® protective liquid laminate, it is ideal for any commercial space and particularly suited for IMO use. Smooth Vinyl + WallFX® + WallMax® | Type II, 20 oz. Smooth White Vinyl | Non-Woven Backing | This smooth white vinyl is printed with our raised, embossed effect, giving the end product a stunning, tactile feel. Coated with our WallMax® protective liquid laminate, it’s perfect for “protected” areas such as behind a headboard, desk, or other furniture. Smooth Silver Vinyl | Type II, 20 oz. 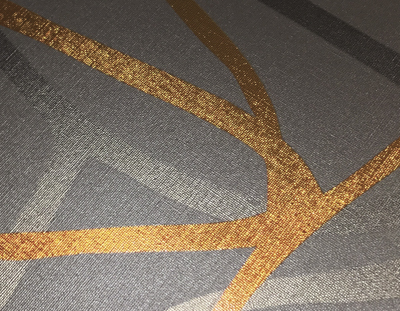 Smooth Silver Vinyl | Non-Woven Backing | Sometimes referred to as “mylar”, this material is printed with color and/or white inks to yield a variety of metallic effects, from subtle luster to high-contrast pops of silver, gold, and more. Smooth Silver Vinyl + WallFX® | Similar to the basic Smooth Silver Vinyl, this product features our raised, embossed effect, giving the end product a stunning, tactile feel. Perfect for “protected” areas such as behind a headboard, desk, or other furniture. Smooth Silver Vinyl + Spot Gloss | This is the basic Smooth Silver vinyl product with select areas coating in our Spot Gloss ink. Adding Spot Gloss to metallic areas dramatically changes the look from a slightly burnished metallic to a brilliant, high-gloss, polished metallic finish! Textured Silver Vinyl | Type II, 20 oz. Textured Silver Vinyl | Non-Woven Backing | Same product as our Smooth Silver Vinyl, but with a sophisticated linen texture embossed into the base material. Textured Silver Vinyl + WallFX® | Same product as our Smooth Silver Vinyl + WallFX®, but with a sophisticated linen texture embossed into the base material. Textured Silver Vinyl + Spot Gloss | Same product as our Smooth Silver Vinyl + Spot Gloss, but with a sophisticated linen texture embossed into the base material. Smooth Vinyl + Spot Gloss | Type II, 20 oz. Smooth White Vinyl | Non-Woven Backing | This product features select areas that are over-printed with Spot Gloss ink, causing them to contrast with the matte colors adjacent to them. Spot Gloss products add depth and luster even when only a few colors are present. Smooth Carta® + WallMax® | Type II 17 oz. Smooth White PVC-Free Wallcovering | Scrim Backing | This eco-friendly product is completely PVC-free, uses FSC®-certified paper, and is REACH compliant, Compliant with CHPS Section 01350. The UL GREENGUARD Gold Certified UV-LED inks contain up to 50% naturally-derived monomers and oligomers, and have with nearly zero VOC’s. Coated with our WallMax® protective liquid laminate, this product is well suited for all commercial spaces including high-traffic areas. 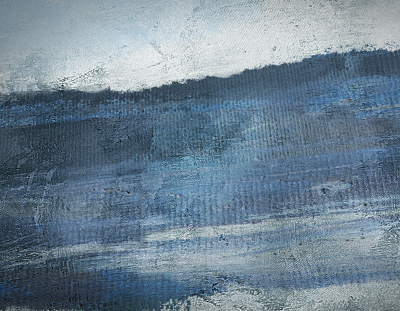 Textured Carta® + WallMax® | Type II 13 oz. Textured White PVC-Free Wallcovering | Scrim Backing | Our second eco-friendly, PVC-free product features a base material constructed of 31% Post-Consumer Recycled Content and eligible for LEED credits. The UL GREENGUARD Gold Certified UV-LED inks contain up to 50% naturally-derived monomers and oligomers, and have with nearly zero VOC’s. Coated with our WallMax® protective liquid laminate, this product is well suited for all commercial spaces including high-traffic areas. Window Film + Color Ink | Design Numbers Ending in F / FF / FS | This window film is printed with color inks only, either in a single layer (F), a double layer for a deeper color saturation (FF), or a pale, frosted look (FS). All colors are translucent and have a slight frosted look to them. These products are great where privacy is not an issue, or where the design should not impede the flow of light through the glass. Window Film + White Ink | Design Numbers Ending in W | White ink can be used to create various levels of privacy screening and even some frosted effects. They can also be printed in a full range of densities, or opacities, of white ink to create sophisticated designs even when privacy is not a concern. Window Film + Color & White Inks | Design Numbers Ending in FW / FWF | Blending both white and color inks allows for greater privacy control when a full color design is desired. Sandwiching a layer of white ink between colors (FWF) means that the full color design is viewable from either side of the glass, while the white layer adds opacity to the overall effect. For a more economical option where color only needs to be seen on one side, only one layer of color can be printed with the white ink (FW). Window Film + Glossy Inks | Design Numbers Ending in FG / FFG / FWG | Adding our Spot Gloss to color inks transforms them from a frosted look to a glossy, clear transparent, stained glass effect. This can be used in concert with one layer of color (FG), two layers of color for deeper, richer colors (FFG), or with both color and white for added opacity (FWG). Nimbus® Acoustic Fabric® | Wrinkle Resistant Acoustically Transparent Fabric | Warp Knit Polyester | This acoustically transparent, white fabric is printed with a dye sublimation process, and is perfect for wrapping around sound-absorptive panels. Both printed rolled fabric and complete, finished panels solutions are available. Rigid Wall Protection | Engineered PETG Panels with Impact and Chemical Resistance | 0.040″ Thick | 4′ x 8′ & 4′ x 10′ Sheets | These slightly textured, white rigid panels are designed specifically to protect wall surfaces against impact and heavy traffic wear and tear. The UL GREENGUARD Gold Certified UV-LED inks contain up to 50% naturally-derived monomers and oligomers, and have with nearly zero VOC’s. Coated with WallMax®, our highly durable heavy metal free UV-cured matte coating with fire retardancy, anti-microbial, mold and mildew resistant properties. Ideal for use in hospitals and high traffic public areas. Canvas | 13 oz. Woven Polyester Artist’s Canvas | This is a true artist’s canvas, not a vinyl, and is a good option when seeking a sophisticated look where a 20 oz. weight is not required. Canvas installs just like our 20 oz. vinyl products. A variety of other products is also available to address a broad range of applications. We can of course digitally print on hundreds of other substrates as well, so if you have a specific material in mind don’t hesitate to ask your sales representative. We have state-of-the-art print equipment and can print on just about anything our competition can! Level products are manufactured with PVC vinyl wallcovering materials that have met the sustainability certification created by the Wallcovering Association (WA) in partnership with NSF International and ANSI (American National Standards Institute) called the NSF/ANSI 342. All PVC vinyl wallcovering substrates meet the Federal Specification for Type II durability as well as California Prop 65 compliance with Cadmium and Lead-Free formulations which also meet stringent EU toxicity standards. PVC-Free substrates are also available from FSC Certified Paper with Type II durability in accordance with Federal Specification and with CHPS Section 01350 Specification and REACH compliance for EU toxicity standards. We proudly use the latest digital print technology with clean UV-LED inks with low VOC’s in compliance with CHPS Section 01350 specification. Our digital print equipment uses UL GREENGUARD Gold Certified inks (Certificate Number: 72318-420) and meet the California Department of Public Health’s (CDPH) Standard Method using a Classroom Environment and Office Environment; tested in accordance with the UL 2822 method showing compliance to emission limits on UL 2818 Sec. 7.1 and 7.2. To aid in the durability of our finished goods, our products may be laminated or top-coated with UV curable coatings to provide important resistance to common concerns in high-traffic commercial environments. In addition to our protective coating, we offer coatings that allow our smooth wallcoverings to become dry erasable and even magnetic-receptive. WallMax®, our primary protective coating also contains fire suppressing chemistry and has been tested and proven to contribute towards achieving Class A fire ratings through ASTM E84 test methods. This formulation is heavy metal free with attributes that have been tested and proven to kill bacteria and prevent mold spores from forming, even in the most humid environments. Wherever applicable, Level products are coated with WallMax®, our protective liquid laminate, and we highly recommend its use on customized products as well. This UV curable coating provides important resistance to common concerns in high-traffic commercial environments. 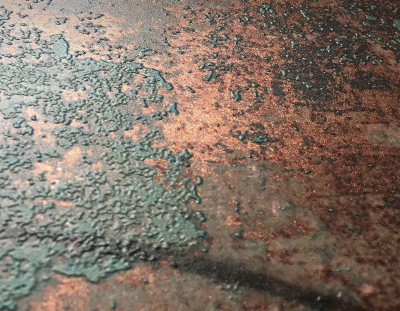 The coating formulation is heavy metal free with attributes that have been tested and proven to kill bacteria and prevent mold spores from forming, even in the most humid environments. Additionally, WallMax® contains fire suppressing chemistry and has been tested and proven to contribute towards achieving Class A fire ratings through ASTM E84 test methods. WallMax® also guarantees a Type II finish for scratch resistance and UV protection, so it is highly recommended when installing Level products in high-traffic areas, or in those exposed to greater sunlight or increased wear. Refer to the product descriptions in the previous tab to learn which Level products include WallMax®, or ask your Level Digital Wallcoverings sales representative for more details. Note: WallMax® will slightly dull the metallic effect of our silver substrates, though it certainly can be applied when needed. However, WallMax® is not recommended for use over Spot Gloss inks though, as it will nullify the gloss effect. 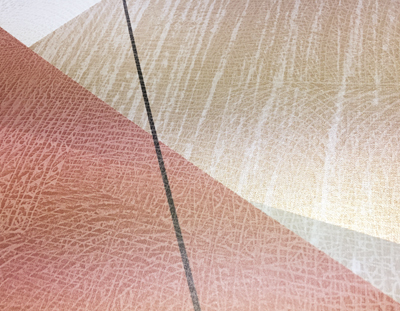 Our Spot Gloss ink allows for select areas of a design to be coated with a glossy finish, or in the case of our Silver Vinyls, a highly polished, shiny metallic look. 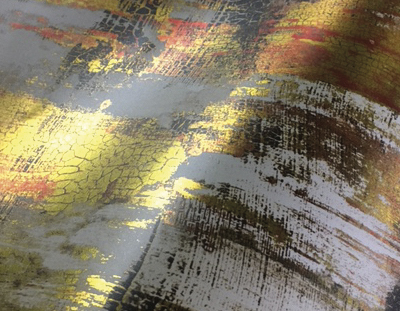 This technique yields stunning results that add luster and richness to any digital wallcovering. Note: For best results, lighting conditions should be considered when using Spot Gloss as it is most noticeable and effective when properly lit by strong, directional lighting. Spot Gloss inks cannot be coated with WallMax® liquid laminate as the laminate will nullify the gloss effect. WallFX® is Level’s proprietary printed emboss effect and is a terrific, attention-grabbing way to to add dimension and depth to your digital wallcovering! This print technique allows select areas of a design to be raised and actually appear embossed, and it’s a great solution for “protected” areas, such as behind a headboard, desk, or other furniture. Note: For best results, lighting conditions should be considered when using WallFX® as it is most noticeable and effective when properly lit by strong, directional lighting. WallFX® must be printed on a smooth material to achieve the full effect of the technique.